Former UW center/forward Chantel Osahor went to bed Thursday night thinking she would begin her WNBA career in Chicago. But less than 12 hours later, it appears that Osahor will instead start out in Minnesota. 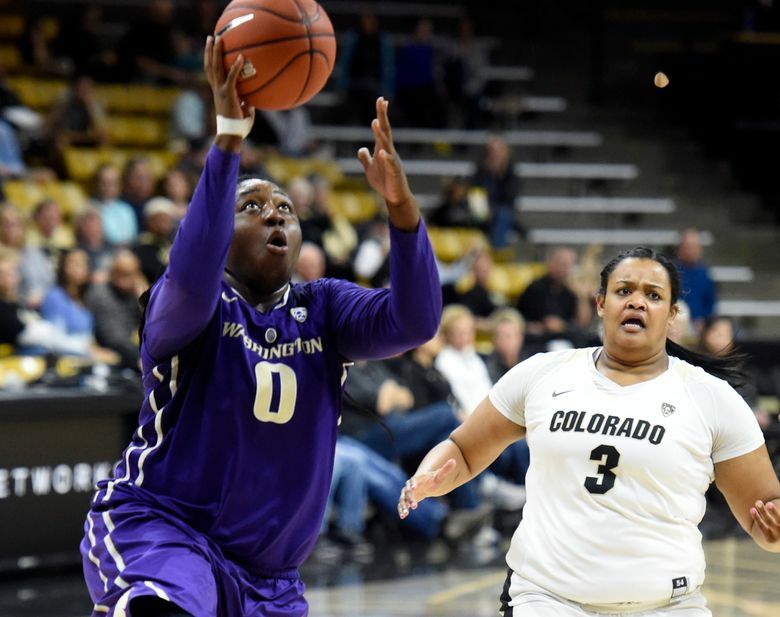 The Huskies’ 6-foot-2 rebounding machine was drafted by the Chicago Sky 21st overall in the second round of Thursday’s WNBA draft but was dealt to Minnesota Friday morning in a trade that sends Lynx forward Keisha Hampton to Chicago. The Lynx acquired Osahor’s draft rights in the trade, and Osahor, an Arizona native, will have to travel a little farther north to begin her pro career. Osahor finished her UW career as the Huskies’ all-time leader with 1,253 rebounds, and she led the nation with 30 double-doubles and 15.8 rebounds per game. Osahor also averaged 15.8 points per game – second only to Kelsey Plum — and had 140 assists. Osahor will join a Lynx team that lost to the Los Angeles Sparks in the 2016 WNBA Finals. The Lynx ended the season with the best record in the league (28-6). They’ve won three WNBA titles in the last six seasons.